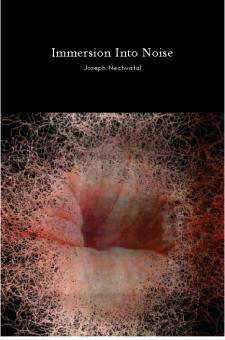 Editor's note: We just received a tip from Joseph Nechvatal about his new book project which looks quite promising. Note the details of the summary below and—best of all—the text is open-access. By refining the definition of noise as that which addresses us outside of our preferred comfort zone, Joseph Nechvatal's Immersion Into Noise investigates multiple aspects of cultural noise by applying the audio understanding of noise to the visual, architectural and cognitive domains. Nechvatal expands and extends our understanding of the function of cultural noise by taking the reader through the immersive and phenomenal aspects of noise into algorithmic and network contexts, beginning with his experience in the Abside of the Grotte de Lascaux. Immersion Into Noise is intended as a conceptual handbook useful for the development of a personal-political-visionary art of noise. On a planet that is increasingly technologically linked and globally mediated, how might noises break and re-connect in distinctive and productive ways within practices located in the world of art and thought? That is the question Joseph Nechvatal explores in Immersion Into Noise. The structuralist descriptions established by Michel Foucault about discipline are thought to be well known, especially by architects for who the book has been simplified with images that they can understand. The architectual paradigm of the panopticon (see previous essay) is quoted everywhere and became indissoluble from Foucault’s work despite its very large extents. What most people did not understand is that the panopticon as it has been thought by Jeremy Bentham is interpreted by Foucault as the paradigm of a society of discipline which does not apply anymore to the current organizational scheme of the Western world. In the disciplinary societies one was always starting again (from school to the barracks, from the barracks to the factory), while in the societies of control one is never finished with anything–the corporation, the educational system, the armed services being metastable states coexisting in one and the same modulation, like a universal system of deformation. Felix Guattari has imagined a city where one would be able to leave one’s apartment, one’s street, one’s neighborhood, thanks to one’s (dividual) electronic card that raises a given barrier; but the card could just as easily be rejected on a given day or between certain hours; what counts is not the barrier but the computer that tracks each person’s position–licit or illicit–and effects a universal modulation. This very simple example carries some tremendous human implications when applied literally -with the dozens of Israeli checkpoints inside the West Bank for example- but also more figuratively in a society we are more used to in the Western World in which the concept of freedom cannot be understood outside of a policed capitalist system. By his extremely precise description of this system’s mechanisms, Michel Foucault acts violently against it as numerous of those mechanisms are in fact decoy and camouflage apparatuses. I keep this post in our | rblg survey because it is useful --even so partly questioned-- for us in the context of an ongoing project, Paranoid Shelter (an installation by fabric | ch that will be used in a joint theatrical project with french writer and essayist Eric Sadin, Globale Paranoia). It will be on stage next February at the Comédie de Caen in France. In front of the incredible silence of the media about the Occupying Wall Street Movement -the New York Times had a very small article in the NY section about it five days ago bias(ly) entitled “Gunning for Wall Street, With Faulty Aim“- I feel obliged to talk about this extremely interesting micro-society existing right in between Ground Zero and Wall Street in New York. About this very eloquent silence in the press, you might want to read the excellent article by Gaston Gordillo on the never disappointing Critical Legal Thinking. Silence is indeed their best weapon to fight against their fear of this movement increasing. The Police should know that its brutality is only bringing more reasons to resist the injustice that capitalism develops in its implementation and that now reach summit in the social inequalities. Nevertheless, the movement voluntarily remains absolutely non-violent and leaderless. Organization is the key notion here. A computer lab on site is relaying information directly on the Internet, a kitchen supplies food for the American indignants, and several working group gather everyday to discuss and create how this micro-society could sustain itself in time and implement outreaching actions. At the end of each day, a General Assembly is gathered in which propositions and votes are effectuated in a very communal way characterized by the mean used by the indignants to make themselves heard: one person speaks and the rest who could hear repeat for the crowd further, in a very symbolic union of voices. Here again, the organization is impressive, especially as far as the domain of law is concerned with competent lawyers -some of the National Lawyers Guild- and other Cop-watchers who make sure that nobody is left alone if arrested. Some people outside of the movement seem to blame the lack of specific demands. I, however, would claim that this group seems to have understood something about revolt: in fact, they create a micro-society, two blocks away from their antagonistic way of life’s embodiment (Wall Street), which implements de facto the democracy and the solidarity they are calling for as a model of society. Just like for the recent Egyptian Revolution, the moment of liberation is not so much the achievement (and therefore the termination) of the resistance movement but rather the process of this movement which forces people involved in it to develop a collective identity. And even more importantly, the legal rights of the protester.